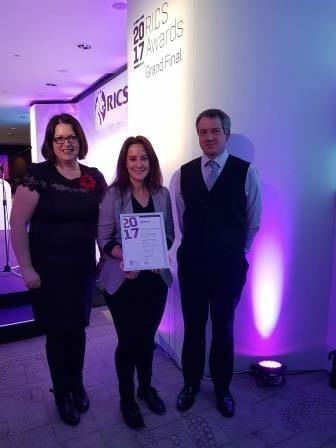 After winning the RICS (Royal Institution of Chartered Surveyors) East of England Awards 2017, Building Conservation Category earlier this year, our project was entered into the National RICS Awards Grand Final. 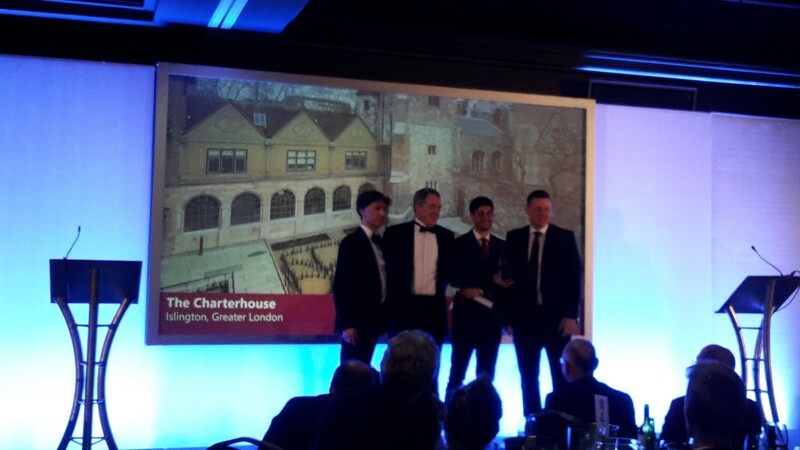 We are pleased to announce that our project achieved “Highly Commended” within the Building Conservation category of the National RICS Awards, which took place earlier this month. 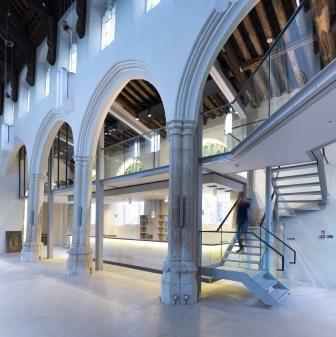 The Regional and National RICS awards were for the specialist restoration and new contemporary design extension and mezzanine floor to Quay Place, Ipswich (formerly St Mary-at-the-Quay). 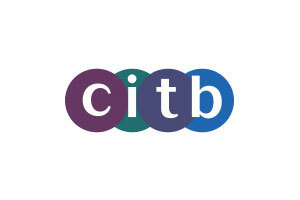 To find out more about the project Click here . An exemplar conservation project, combining traditional approaches with cutting-edge innovation. 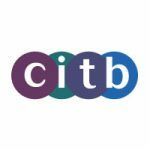 The CCT have a proven track record of exemplary conservation and imaginative re-use of Churches that have fallen out of use. 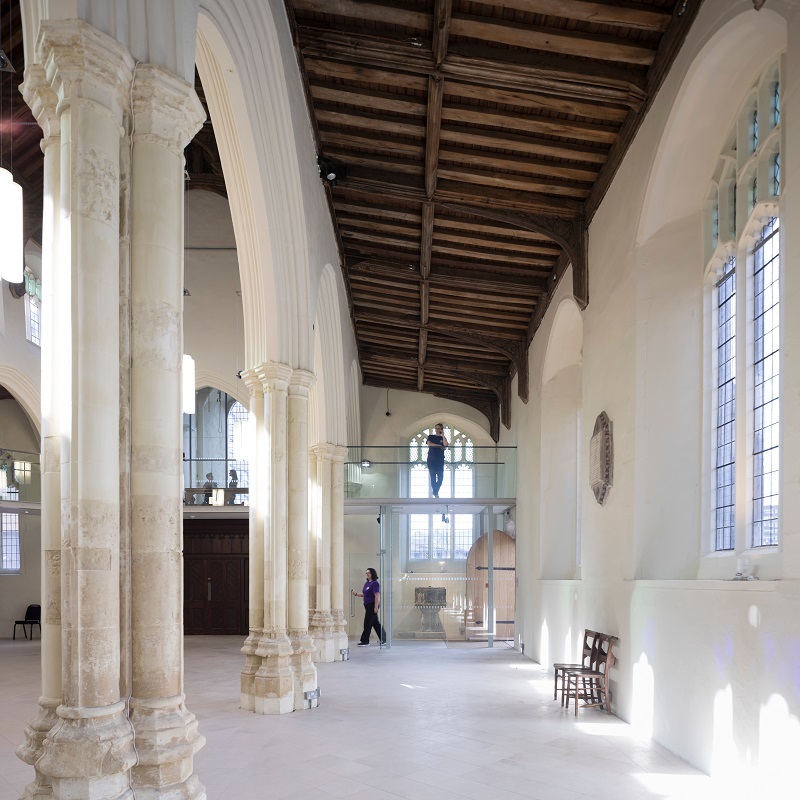 St Mary at the Quay posed significant structural questions that had to be overcome in order to provide the building with a sustainable future. 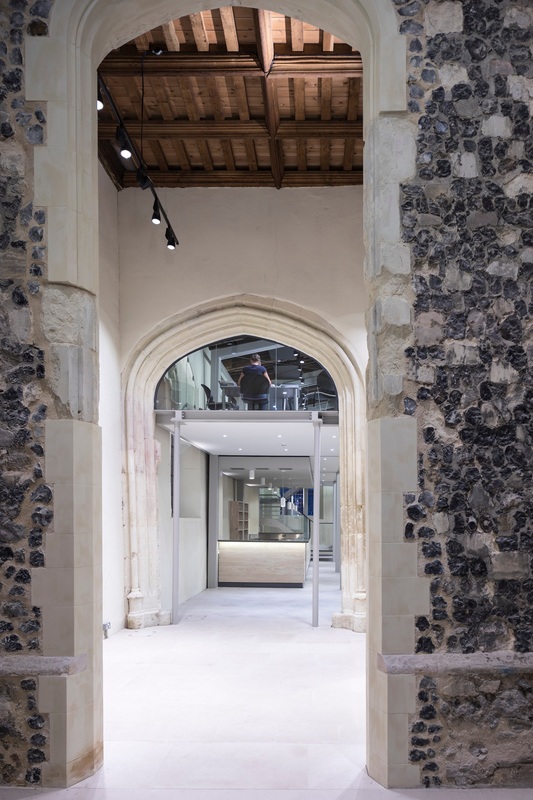 An impressive structural engineering solution was enacted to remove hugely unsightly and rudimentary previous stabilisation works and which was cleverly integrated to provide the structure for additional office space. Conservation repairs have been neatly undertaken and a new extension almost seamlessly added in matching materials. The new use provides a haven of calm within this busy area and it is felt this project will act as a catalyst for the completion of the areas redevelopment. 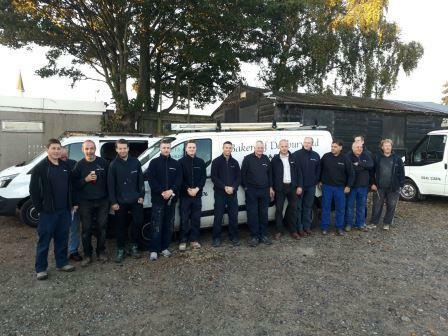 Bakers have reluctantly said farewell to one of its long standing members of the team. Peter Delderfield, who joined Bakers 26 years ago, worked for us as a very skilled Stone Mason and Site Foreman, experience which is hard to come by nowadays. Peter will be sorely missed, both by his colleagues and clients. He has been a credit to Bakers due to his enthusiasm, hard work and dedication. I’m sure all who know or have worked with Peter Delderfield over the past 26 years, will join me in wishing him a wonderful retirement. Thank you for all of your hard work over the years and congratulations Peter, we’ll miss you!! 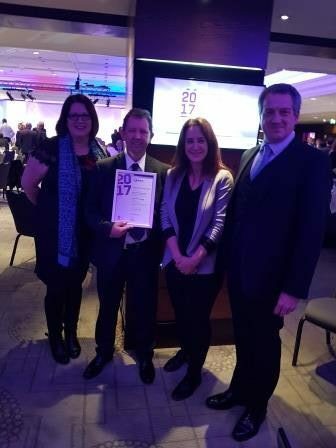 We are pleased to announce that we are Winners of the RICS (Royal Institution of Chartered Surveyors) East of England Awards 2017, Building Conservation Category. 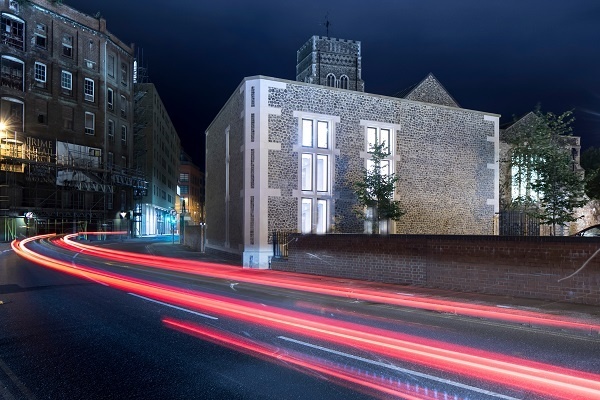 The award was for the specialist restoration and new contemporary design extension and mezzanine floor to Quay Place, Ipswich (formerly St Mary-at-the-Quay). We have also been entered into the National RICS Awards Grand Final taking place later this year. 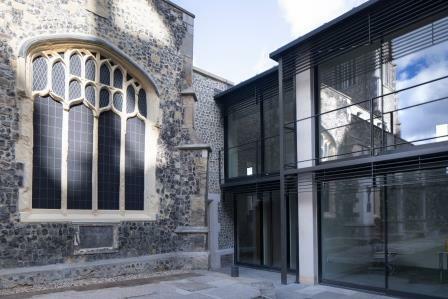 Summary = Regeneration of a Grade II Listed redundant medieval Church. 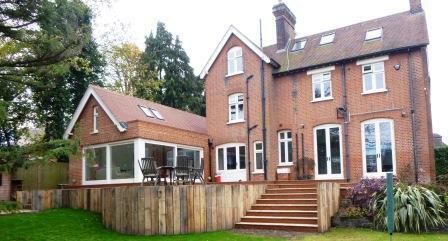 New build extension and mezzanine floor of a contemporary design. Challenge = The redundant church suffered from war damage, damp, a decayed roof and leaning walls. Solution = Formerly the church of St Mary-at-the-Quay but now called Quay Place, was until its recent regeneration a redundant medieval Church. 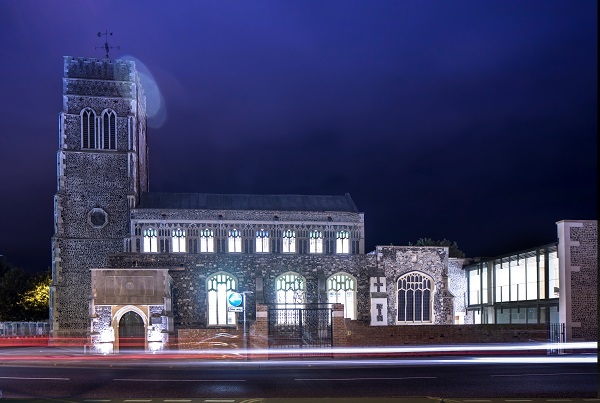 The Grade II listed church which was believed to have been built around 1450 and 1550, is located next to Ipswich’s quayside. 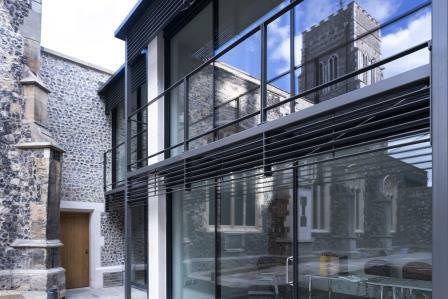 It suffered from war damage, damp, a decayed roof and leaning walls until the 17 month restoration programme gave Quay Place a new future as a centre for both heritage and well being activities, café and an event space alongside therapy provision. 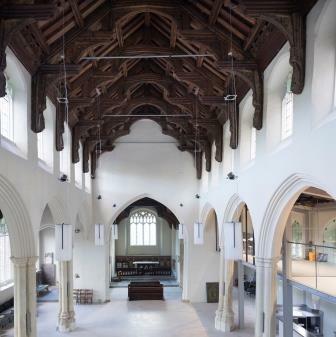 The Churches Conservation Trust teamed up with the local charity Suffolk Mind, and together they secured Heritage Lottery Funds and European Regional Development Funds to cover the cost of the restoration. 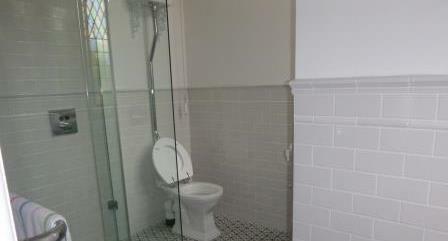 In April 2014 Bakers of Danbury started work on the project as Principal Contractor. 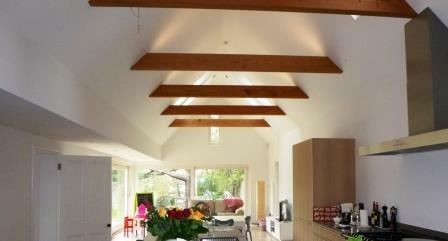 The specialist restoration works include the structural stabilisation and incorporation of a large contemporary mezzanine floor for office space. 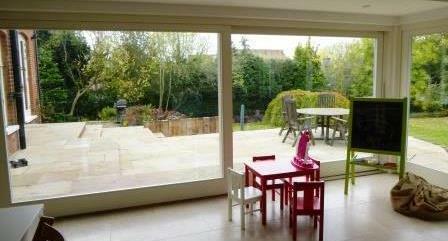 A new contemporary design extension provides further offices and consulting rooms. 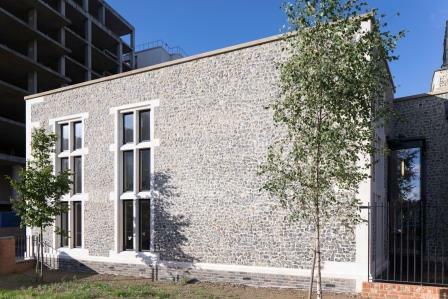 Bakers of Danbury's sister company Collins and Curtis Masonry supplied all new stone for the restoration and new build. 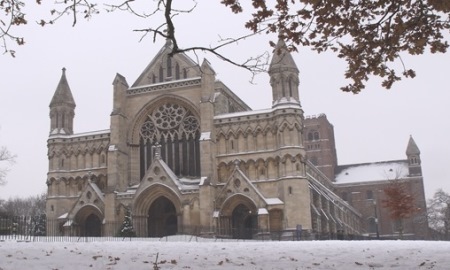 Measurements were taken onsite to produce templates, which were then used to manufacture the replacement features to arches, jambs, tracery, cills and copings in their workshops. Traditional methods of masonry were used to manufacture the stone details. 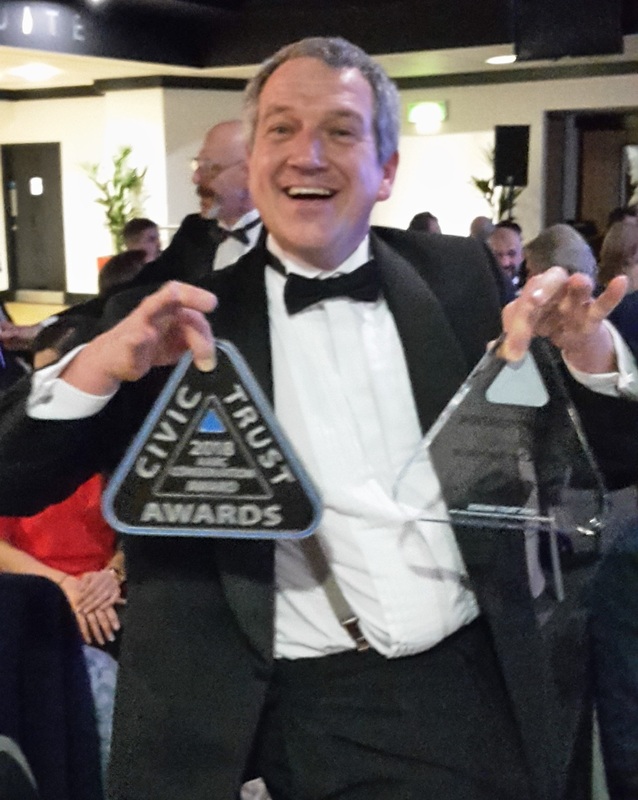 The project was recently awarded a Civic Trust 2018 AABC Conservation award, RICS National 2017 (Highly Commended) and a RICS East of England 2017 award for Building Conservation. It also received a Highly Commended Award within the Ipswich Society Awards in 2016.